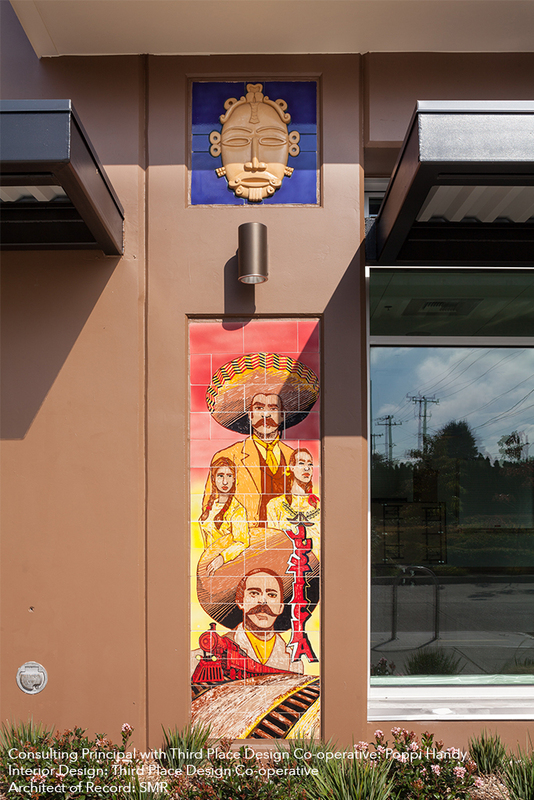 Serving the Community: This community based transit-oriented development project for the El Centro de la Raza is located near the Sound Transit Beacon Hill Light Rail Station. Plaza Roberto Maestas provides 112 units of affordable housing set aside at the 30%/50%/60% AMI, micro retail spaces for small local entrepreneurs, office space, an affordable childcare center, a cultural community center with classrooms and a large flexible event space, and a latino inspired public plaza for micro-business opportunities and community events. Unique Features: Latino inspired central plaza; Jose Marti Childcare Center; Cultural Community Center; Culturally inspired artwork integral to the building and plaza, extensive community outreach effort, master plan approach with existing historic building. Scope of Work: New construction of two mixed use buildings, central on grade plaza, five levels of Type VA Wood Construction over one level of Type I Concrete Construction, and below grade parking. 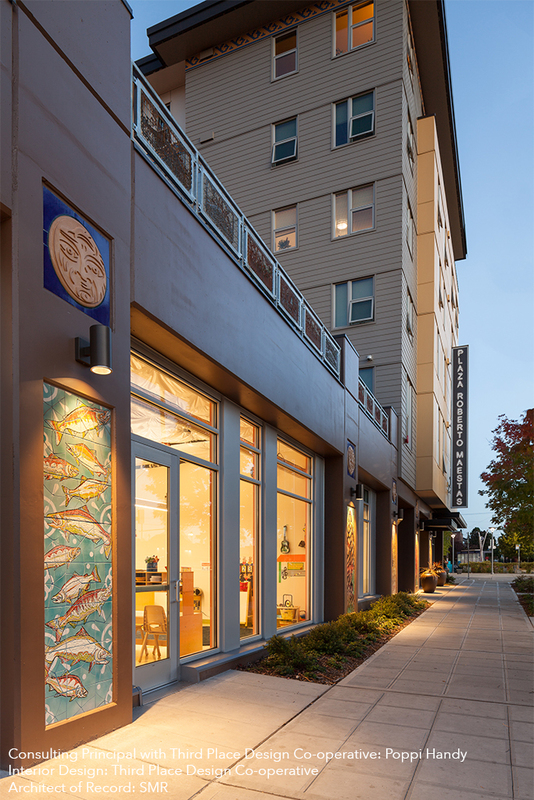 Livable Community Award for Excellence in Creating Livable Communities, Plaza Roberto Maestas, 2013. Role: Poppi served as Principal-in-Charge/Project Manager while at SMR. Near the end of Design Development, Poppi left SMR to form Third Place Design Co-operative. To provide continuity for the Client and the design, Poppi was retained as a consulting principal through the end of design. 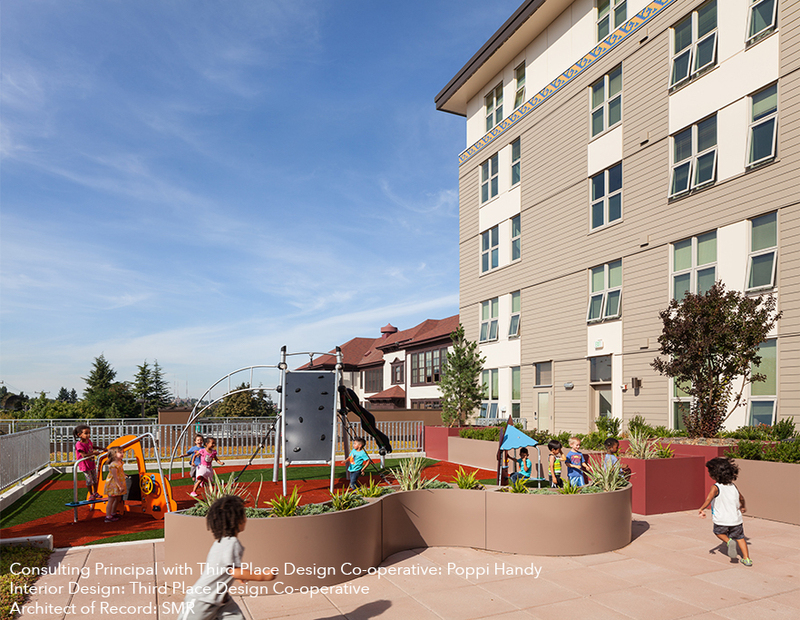 TPDC has been awarded the Interior Design Scope for the entire project, including the Community Center, Residential Public Spaces, and Childcare Center.